CLOVER FIREPLACE SCREEN by Accent Plus home decor, jewelry, decor, decorations, electronics, fountains, floor mats, art glass, vases, garden essentials, fireplace screens. 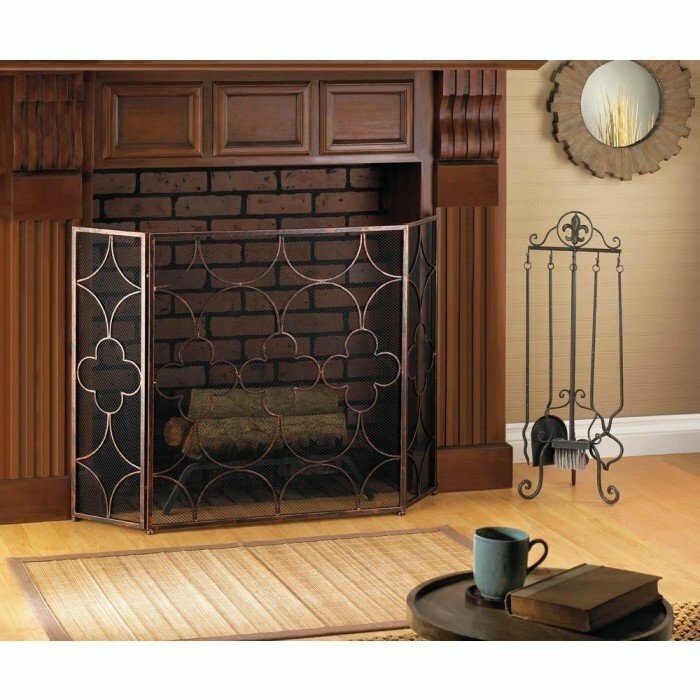 You'll feel lucky to have this gorgeous iron fireplace screen as part of your room's decor. It features a three-panel design that allows you to fit it perfectly in front of your fireplace, and the lovely clover design is a work of art with or without a roaring fire glowing behind it. Material(s): IRON METAL - MESH. Weight 10.8 pounds. Dimensions 27.5" x 10" x 30.2".